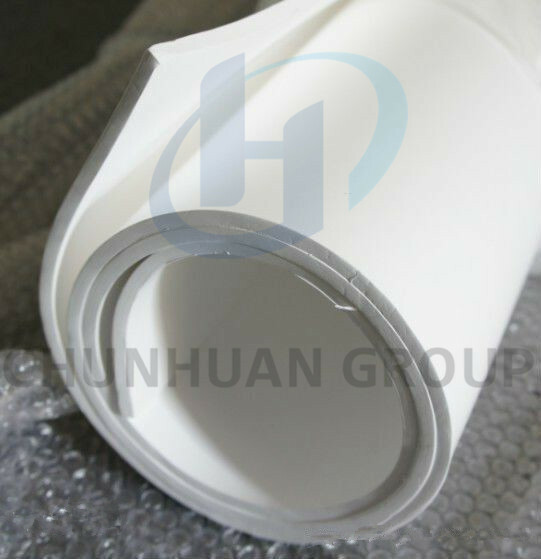 Expanded PTFE Sheet is very soft, extremely compressible and has excellent resistance to many chemicals. It can withstand compressive loads of over 40,000 psi without losing sealing capability. It is also unaffected by ozone, UV and corona and does not become brittle with age. 1)Your inquiry will be replied within 2 hours during working time,Within 24hours when rest time. 2)Our working time is 7.30 AM --17:30 PM,Monday to Saturday. 3)General samples time can be arranged within 2--5days. 4)Orders will be produced exactly as request and approved samples. 5)When mass production,we send photos to show the production line.And confirm the estimate time again. 6)At the end of mass production,photos and samples will send to you for approval.You can arrange the inspection. 7)Before shipment,our QC will have inspection to make sure the quality. 8)We always try best to ensure every order to delivery in time. 2)30% deposit,70% balance before shipment. 3)Lead time: 15 days after received deposited for 2tons. 4)Delivery way: By sea,By air, By EMS,DHL,UPS,TNT,FedEx. 1.Qty of 2tons,within 15 days. 3.Delivery time:we will finish production in 15days for 2tons. 4.For 20 GP,may nee around 30days. Zhenjiang Chunhuan Sealing Material Co., Ltd is located in Yangzhong City Jiangsu Province who is a director member of China Plastic Association fluorine plastic processing Specialized Committee.Chunhuan was founded in 1985, our group has now emerged as one of the large-scaled backbone enterprises in the field of PTFE in China after 30-plus years of constant development. Zhenjiang Chunhuan Sealing Material Co., Ltd is one of the fluoroplastics processing enterprises taking the lead in passing the IS09001 quality system certification. And with the strength of PTFE Products, which are superior quality with FDA,REACH,RoHS,MSDS certificate. Our group mainly manufactures products: PTFE Rod, PTFE Film, pipes, sheets & mats, PTFE push rods & extrude rods, PTFE turning plates & teflon film , PTFE fillings, PTFE belts, ropes, tapes & packing tapes, metallic gaskets, PTFE corrosion resistant linings, composited tubes & pipe fittings, rubber sheets, mats, framework oil seals & o-rings. All people from Chunhuan Brand group will continue to bring the best and most considerate service to all of our devoted old customers; meanwhile we sincerely hope that we will extend our service to more new customers. Looking for ideal Expansion Ptfe Sealing Belt Manufacturer & supplier ? We have a wide selection at great prices to help you get creative. All the Expanded Ptfe Sealing Cord are quality guaranteed. We are China Origin Factory of Soft Fibration PTFE Sealing Sheet. If you have any question, please feel free to contact us. Copyright © 2019 ZHENJIANG CHUNHUAN SEALING MATERIALS CO.,LTD(GROUP) All rights reserved.